Hi everyone, my name is Shona McCotter and I have been lucky enough to receive the coveted TARGETjobs Management Undergraduate of the Year Award 2016, sponsored by Enterprise-Rent-A-Car. I was reading through my university emails one day when I saw this particular opportunity to enter the UK Undergraduate of the Year Awards. It immediately took my interest and I chose to enter the management category. What I really liked about this category was that Enterprise-Rent-A-Car was the sponsor. Having won graduate employer of the year on various occasions and with a summer internship and a week in the states up for grabs, I knew this would be an amazing opportunity. Having completed my online application and passing my phone interview, I was then invited to an assessment day at their European head office in Surrey. To say I was nervous in the days and hours beforehand was an understatement (I travelled from Barcelona – so I had a lot of time to dwell!). The assessment centre was a lot less daunting than I imagined. 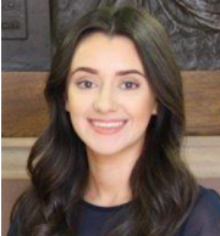 The ERAC team were genuinely so friendly and down to earth, and this made me feel much more comfortable in expressing myself throughout the different tasks with other candidates and in my one-to-one interview. They really wanted each of us to do well! I learned a lot about Enterprise’s working environment and noticed how most of the employees started as management trainees – so they really had respect for what interns do. The awards ceremony itself in Canary Wharf was such an amazing experience and the presentation by Fiona Bruce was really inspiring. I had never been to anything like it. As the winner, I was presented my award by Khaled Shabo, corporate VP and MD for UK and Ireland, who has contributed enormously to the success of Enterprise-Rent-A-Car. I will undergo my USA trip next summer in the global HQ for Enterprise-Rent-A-Car! ERAC have also asked me to be their campus brand manager this year, which has been a great experience so far, allowing me to promote their opportunities at careers fairs and to my peers. Since winning the award I have interned in Beijing, China on a scholarship and have had graduate offers based on my achievement, so it has really brought me far and was definitely worth the application! 'You have to be in it to win it' is a phrase we’re all very familiar with but very few of us take it seriously. One piece of advice I would give after this experience is to have some faith in yourself and go for it! It was worth it for me – it might just be for you too. Market operations analyst at Citi.